'Abdu'l-Bahá's Journey in the West . 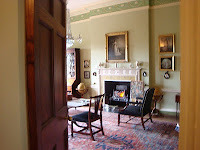 . .: January 9, 1913 "Edinburgh has great capability"
Next day, 9 January, ‘a stream of visitors and enquirers made their way to the manse in Charlotte Square’. ‘Abdu’l-Bahá spent the entire morning answering their questions, and in the afternoon spoke to a large meeting on women’s rights, attended both by suffragettes and those who opposed votes for women. Speaking on the principle of the equality of men and women, the Master ‘stressed the necessity of education for women, but also the importance of motherhood. He encouraged women to train themselves by studying every kind of science, art and social service. “Fit yourselves for responsibility, you will inevitably have it thrust upon you,”’ He said. Although He was very tired, ‘Abdu’l-Bahá then went to the headquarters of the Theosophical Society to give an address. After the meeting, ‘Abdu’l-Bahá met privately with individuals and groups. One group He met with was the Pagan family. Miss J. M. Pagan, a sister of E. C. H. Pagan, remembered ‘Abdu’l-Bahá’s happy, friendly manner. When she, her mother, her six sisters and several grandchildren met with the Master, He laughed heartily at the long procession. When the group had literally encircled ‘Abdu’l-Bahá, He told Miss Pagan’s mother that He hoped she would have as many descendants as Father Abraham. 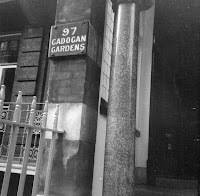 Two cars then took the party to the station, where they met Mr Page, the Secretary of the Esperanto Society, the general secretary of the Theosophical Society, a Persian student and two ministers plus several ladies and gentlemen. The train left shortly before 11 o’clock and Ahmad Sohrab remembered see the waving hands and handkerchiefs of those still on the platform. The king appointed a large hall where both of them could paint. The Chinese asked for a curtain to be hung in the middle of the Hall – so that their competitor may not see what they are doing. The Chinese artists worked for 6 months day and night but the Roman artists did not work and everybody thought they are going to lose. Just one day before the King’s coming to give the award, the Roman artists set to work and polished the wall like a mirror. The King’s ministers and courtiers came. First they saw the Chinese paintings. They were marvellous and beautiful. The curtain then was put aside so they could see also the Roman works. The wall polished by the Roman Artists was so transparent that the Chinese paintings on the opposite wall were entirely reflected therein. The award went to the Romans. Now, may your heart be as pure and as transparent so that the pictures and images of the Kingdom of Abhá may be reflected therein. ‘Abdu’l-Bahá and His party arrived back in London at 7 p.m. where Marion Jack and several other friends were there to meet them. 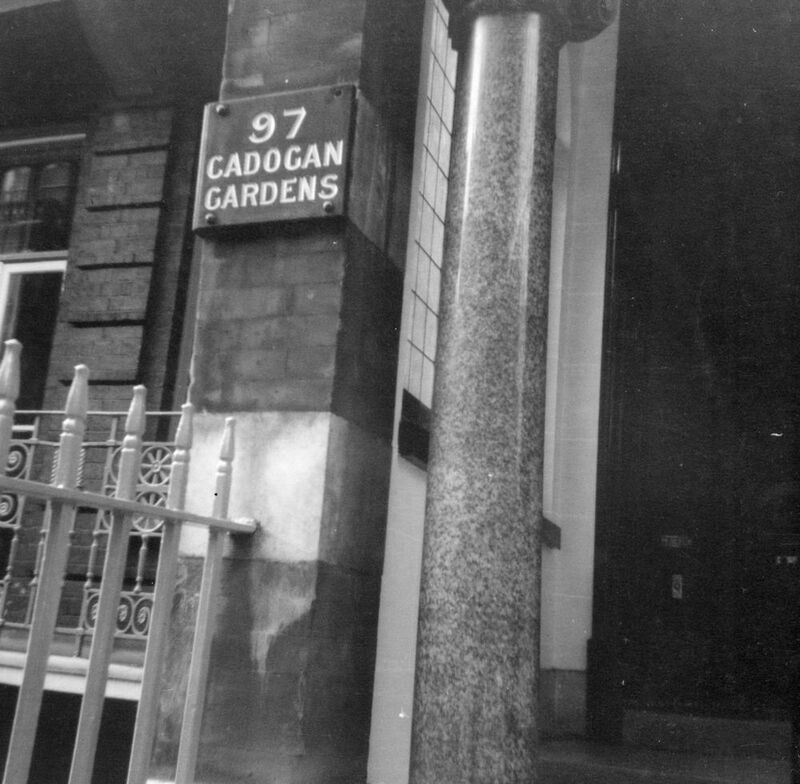 From the station, they took a taxi to Lady Blomfield’s house at 97 Cadogan Gardens where others were waiting for them. After only a few minutes, ‘Abdu’l-Bahá said they should move to a hotel and have the meetings there. Lady Blomfield, her daughters and Miss Platt pleaded, the latter on her knees, until ‘Abdu’l-Bahá consented to stay. I am very sad about 'Abdu'l-Bahá leaving Edinburgh. It is akin to the feeling I had when He left Montreal, as it is the only place in Scotland He visited--and the friends there are very proud of the visit. Much was accomplished; the stories are rich; the places are vibrant--and still there! We took footage and photos. 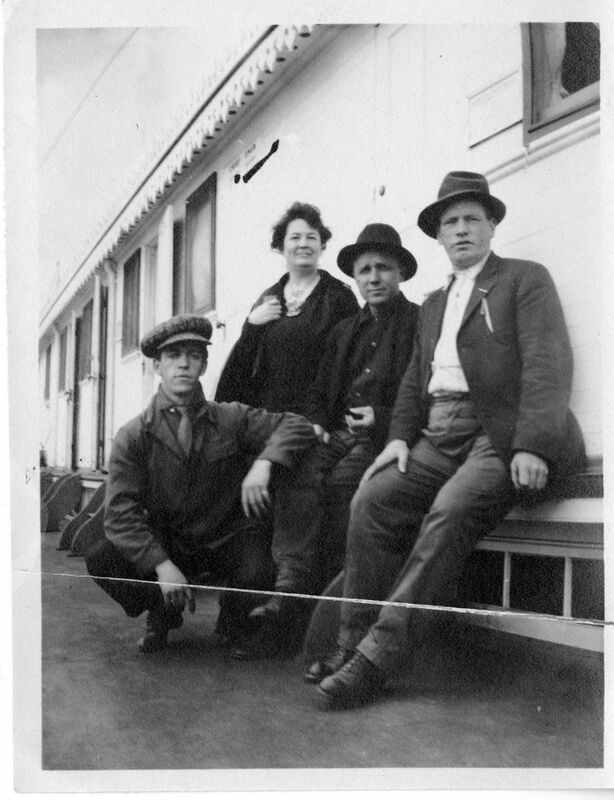 It was a remarkable sojourn--in 1913--and then, for us, in 2012–13. The report about the monologue used in a previous commemoration, can be found here. Sarah Munro is on facebook and lives in Bejing she will be the one who knows.I suggest ask her. The name of the Housemaid at 7 Charlotte Square in the census just over a year before is Mary Martin (age 34) from West Calder Midlothian. Would you like the census record? PS I forgot to correct some information ...Mahmud was one of the 4 who went to Edinburgh.